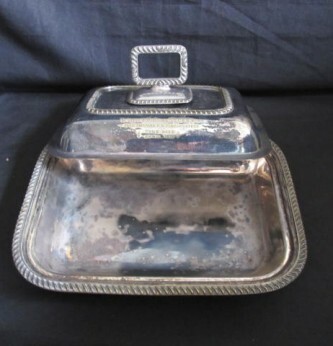 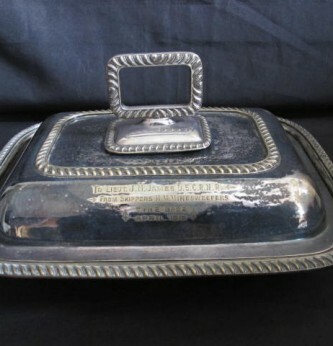 Interesting silver plated Naval Mess presentation Tureen. 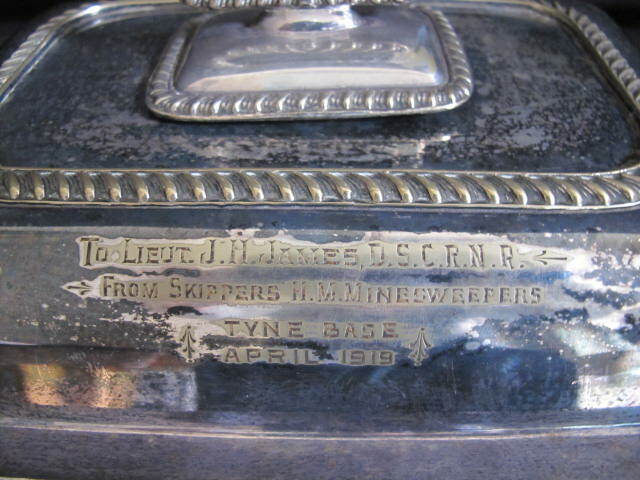 Presented to Lt J H James, D.S.C.R.N.R from the skippers HMS minesweepers Tyne Base April 1919. 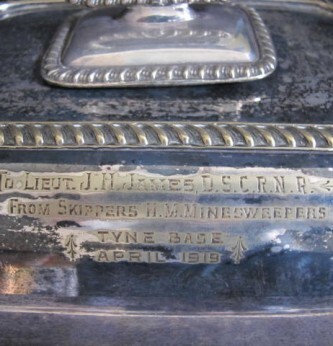 Lt James served throughout WWII on Minesweepers. 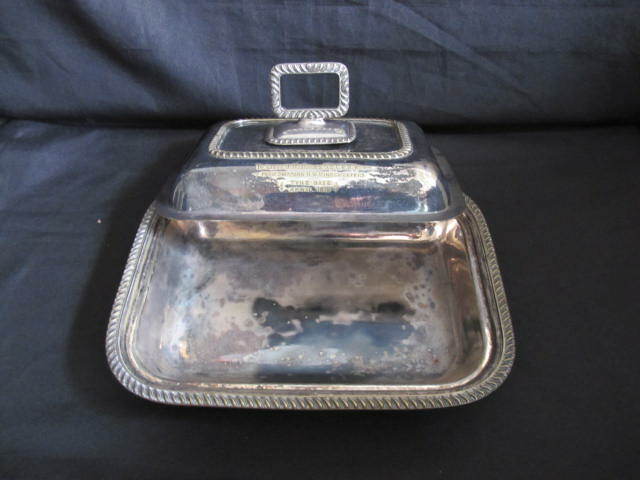 These included: 1941 HMS Libyan, 1943 HMS Mount Keen and in 1945 was Commanding Officer of HMS Mount Keen. 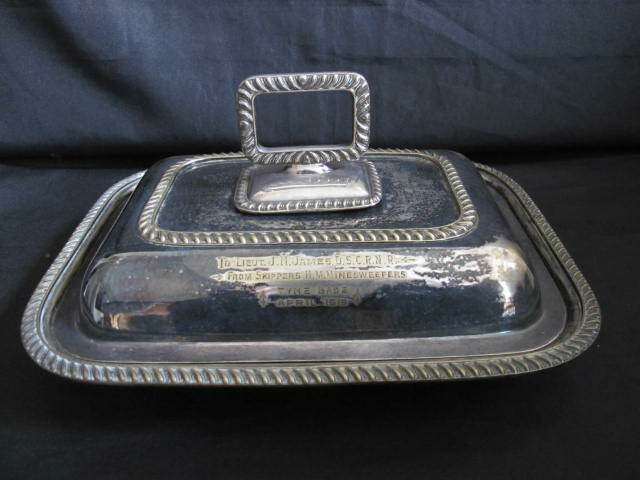 A nice presentation item to a Naval Officer.